It is true that dogs bring out the best in all of us, but we don’t always bring out the best in them. Mistreatment can cause the dog to develop bad, sometimes even dangerous habits. Obedience training doesn’t only prevent this from happening, but it will also give your dog a positive outlet to use up all their pent up energy. A well-trained dog makes both the human and pet as happy as can be. Many people believe that the eCollar (also known as shock collar) to be the epitome of dog abuse. Just mentioning that you use them on your dog(s) leads most people to judge you. The eCollar is actually the complete opposite of abuse in the current dog-training world. In fact, it is a highly effective way to train a dog. One of the most important aspects of training your dog is to remember that when your pet does something wrong, they need to be instantly corrected. Unless this happens, your dog won’t know what they did wrong and punishing them will not correct their behavior. Its ability to be used in an instant from many yards away is why the eCollar is so effective at training your dog. The eCollar has undergone some major improvements since its conception in the 1960s. The early versions of this device were completely over-tuned. This is the device uninformed dog owners picture when they hear that you use an eCollar. Modern eCollar versions allow you to adjust the current’s power. This way you use the least amount of current required in any given situation. They now also have 3 settings: vibrate, nick and continuous. 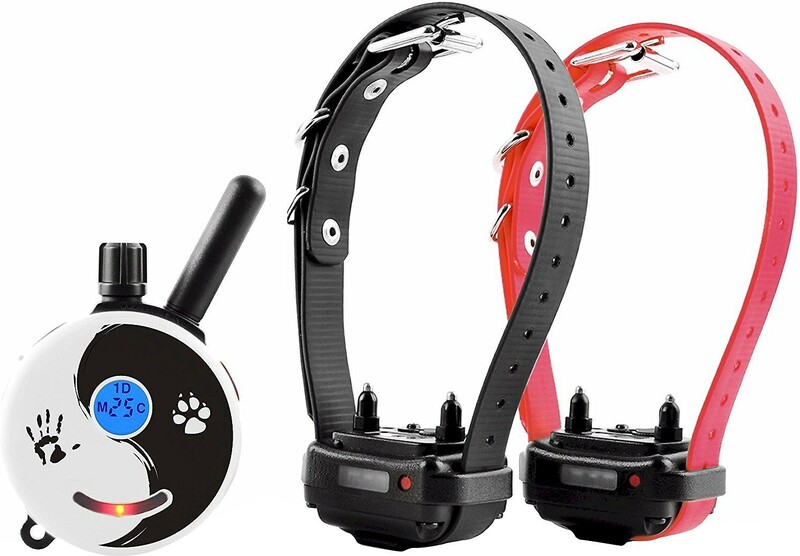 The vibrate setting does not use the electric current on the dog; instead the collar vibrates to get the dog’s attention. You can press or hold this button. The nick and continuous settings use an electric current to correct your dog. Nick is a brief, instant buzz while the continuous setting will maintain the buzz while the button is depressed for a maximum of 20 seconds. The power of this current can range from levels one to 127, and it is important to note that the continuous setting is only for emergencies. Also, in all of my years of training my dogs using an eCollar, I have always kept my remote under power level 30. An example of when continuous might be used would be if your dog got off its leash and won’t respond to your recall command. It could run towards a busy street or a wild animal, so using an eCollar could help save your dog’s life in these potentially dangerous situations. The eCollar is not for every dog owner, but I urge you to go to your local dog obedience class and ask them for their opinion. This is not the only tool that you will need to get yourself a well-trained dog. The combination of positive reinforcement (such as a happy voice, treats or affection) when they do something right, correcting bad behavior instantly and consistency is the key to achieving a well-behaved dog.